Please check all your details to ensure you receive correspondence and WI mailings. Would you spare a few moments and complete the form and enclose with your annual subscription? Thank you. In line with data protection and anti-spam laws we will only use your details with your express permission. When sending mailing from the Women’s Institute email address, we will ensure that your address is, wherever possible, in the BCC field. Your details can be accessed by us (your WI), other WIs you are a member of (Dual Members), your Federations and by the NFWI (collectively referred to as ‘the WI’ here). The WI will use the details you provide in this membership form for our legitimate interests to administer your membership (and if you are an officer, a committee member or have another role, that position) as well as to send you your copy of WI Life through an external mailing house. If you do sign up for any open events we would like to distribute your email address to those attending for the purpose of car sharing etc. It is against the principles of the WI for individual members to use the organisation for the promotion of a commercial interest without the approval of the committee. 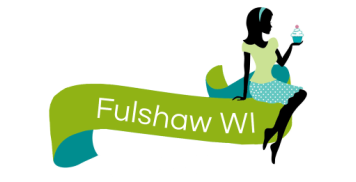 I enclose a cheque payable to Fulshaw Women’s Institute for the annual Membership fee of £42 Annual (£20.50 Dual). Bacs payment is also available. The renewal date for membership is January 1st each calendar year.